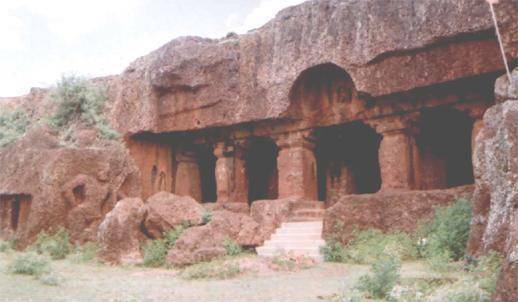 The Kharosa Caves are located in the village of Kharosa about 45 kilometers away from Latur City. According to scholars this place was built in the 6th Century under the reign of Gupta period. These caves are popular for the delicate sculptures of Hindu Gods Shiv, Parvati, Karthikeya, Ravana and Narsimha. There are a total of 12 caves in the Kharosa, one can also explore the shrine of Goddess Renuka along with a mosque in the vicinity symbolizing the peaceful existence of two distinct cultures. There is also a panel of Jain Tirthankar (Jin) in one of the caves.